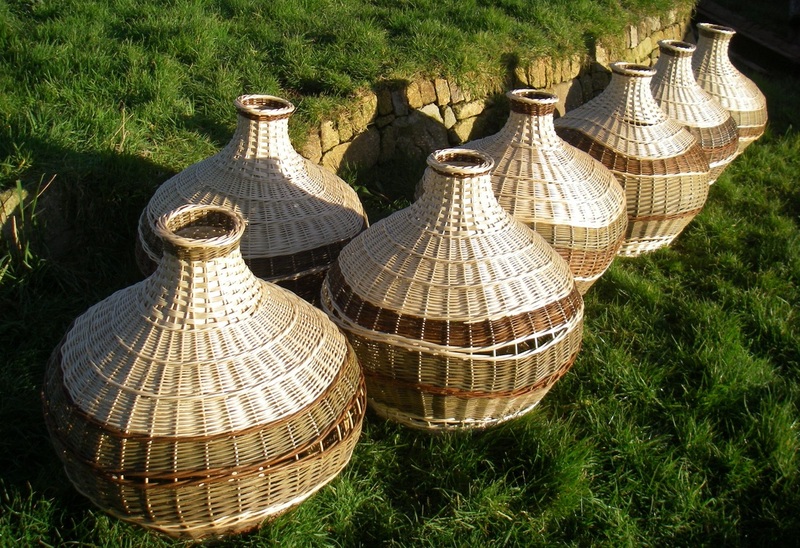 I use willow grown and harvested from my own withy beds, as well as Somerset willow to make a wide range of high quality baskets to order and on spec, for a variety of traditional and contemporary purposes. I make everyday items such as backpacks, log and linen baskets, bike baskets, large and small shoppers and have also enjoyed the challenge of some more unusual projects such as a balloon basket for an arts project, willow woven headboards for an eco development, beautiful large lampshades for a number of restaurants and cafes (see above), and even a Tudor dress for the National Trust. I run basketry workshops for beginners, improvers and intermediate basketmakers all year and over the summer months move into the Woodland Workshop to teach courses. 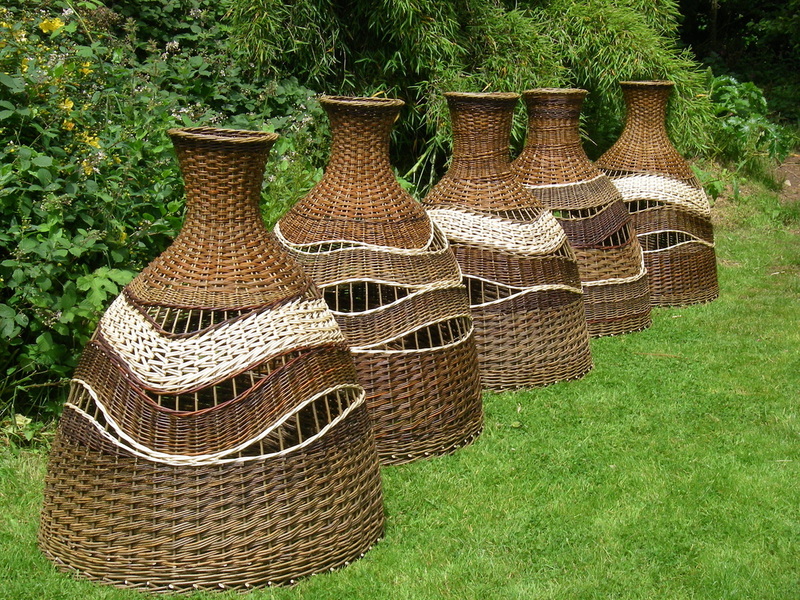 I also work in schools creating living willow structures and weaving projects for children.